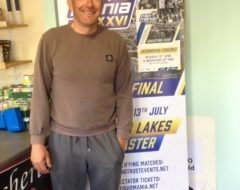 As a full time angling coach, Professional Anglers’ Association Director Martin Porter considers himself to be a very lucky man. He has turned a lifetime hobby into a career by teaching troubled young people to fish. But his work is much more complicated than that. In fact, it’s as complex as the young people themselves and the reasons they fail to fit into society. The youngsters he works with usually attend special schools for pupils excluded from mainstream education and are sometimes violently opposed to any form of classroom education or authority figure. Some have been in trouble with the police and have developed some interesting ideas about the justice system and society in general. Low self-esteem is the common denominator. They have been told they are worthless by various people – including parents and teachers – and have the evidence of their own failures to confirm that. They believe that there is no place in normal society for them and they rebel against it. So how does Martin, a sixty-three year old ex-copper, establish a rapport with these young people in order to challenge the ideas they hold about themselves and their place in society? Angling is the common ground and the reason that these young people will listen to an adult sometimes fifty years their senior. He has something to offer that they want – a deep understanding of angling and an enviable, magical ability to catch fish. Angling is such a multi-facetted sport that even the most challenged student gains a sense of achievement during his or her first lesson. Pupils are shown that they can do something they didn’t believe possible. Each lesson gives them challenges, enough to stretch them a little and provide them with small victories. Angling is so varied in its skills and mysteries that the options are limitless. In football you can either kick a ball straight or you can’t, and any attempt to practice after a failure would provoke hostility. 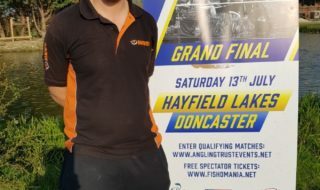 But angling allows a person to try something else that is achievable using different methods or different tackle and re-approach the failure once self-confidence has been re-built. The Professional Anglers’ Association is just one of many bodies that support National Fishing Month, which is sponsored by outdoor retail giant, Go Outdoors. 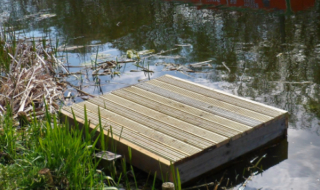 They are joined by other groups such as Get Hooked on Fishing and Angling Projects as well as organisations like the Environment Agency, The Angling Trust and the Angling Trades Association. Each and every supporting organisation understands the importance of National Fishing Month as an initiative and what it can achieve to introduce people to the sport to make a real and positive impact on their lives.